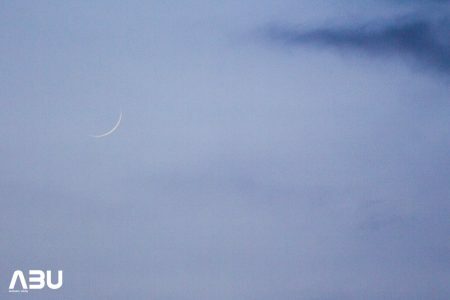 The crescent Moon of Zilhaj was to be easily visible with the naked eye on 23rd August 2017. The sky was a bit cloudy yet I went to the roof with my DSLR to find the Moon and capture it. I found the amazing rainbow colored cloud formation and took a shot. Then I tried finding the Moon without any optical aid and it was easily visible with the naked eye. 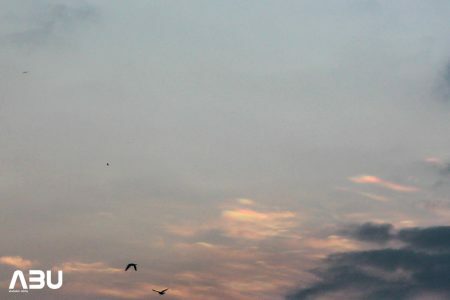 I was lucky to get a clear patch of sky. 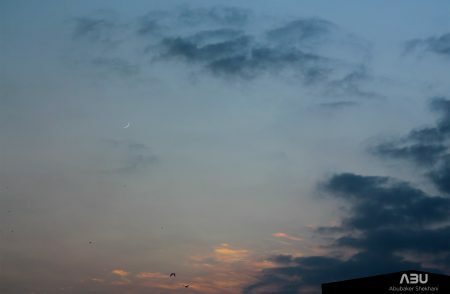 Later, the clouds covered crescent moon. Eid-ul-Adha will be on 2nd September, 2017. Here are few shots.